Think Outside the Rings & Box - literally. I've been advising from day one that small and midsize business owners should create win/win relationships with amateur athletes, especially athletes who aspire to compete in any of the Olympic Games between now and 2010. 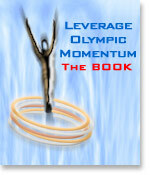 If you're a small or midsize business, amateur Olympic hopefuls are your one-degree of separation to the Games. They represent the access point you need to integrate into that previously elusive gold medal race that includes companies like HBC or Visa. Not only is a relationship with amateur athletes good for you, it is good for athletes too. They need financial help in order to keep training, and anything you can do together to help them raise funds, and raise your company's visibility at the same time, is win/win. I was recently introduced to a Canadian company (based in Langley B.C.) that added a third "win" to the equation. They feel as strongly as I do that Canadian money should be kept in Canada and used to help Canadian athletes. Many people are surprised to learn that money raised by the IOC during an Olympic event does not necessarily stay in the country where the money was raised. Quite often it goes to countries with less privilege than those of us in North America, which is fine because everyone in every country should have an opportunity to compete at the Games, but already in 2006, based on a burgeoning $110 million in overrun costs, it looks like we are going to go into more debt than anticipated regarding 2010. Shouldn't we all be looking for ways to make it work for our region first and Canada? If there is anything left, by all means, let's share the wealth, but first, let's live to fight another day. Philanthropy is noble (and a most sought after tax write-off for large corporations), but the harsh reality is that Athens taxpayers lost $12 billion, Salt Lake City $1.2 billion and Turin is still tallying up their Olympic deficit. Do you think any of these Olympic regions can afford to be philanthropic today? If you want to help the world, you first have to ensure that you stay alive long enough to do so. It's not a question of morals or ethics. It's a question of survival. I wrote a piece in early 2006 that described in detail how small and midsize business can work together with athletes to help them reach their Olympic goals. A week or so ago, Len Sander, president and founder of "Canadian Amateur Sports Holdings (C.A.S.H.)" emailed me about his company. He also thinks companies can work together with athletes to make it good for all parties. C.A.S.H. 's plan is simple. They rent ad space to companies interested in helping Canadian athletes win. The ad space is on the sides of a large fleet of trucks crisscrossing North America daily. They don't specialize in just helping Olympic athletes. Instead they help raise funds to keep a wide variety of amateur athletes in the game, but as you know, all Canadian roads now lead to Mount Olympus. If your company wants to support amateur sport in Canada, the surface of Canadian Freightways trucks is a good place to be. According to their website they donate 20% of all advertising proceeds generated by their fleet to Canada Games, who in turn manage funds that benefit Olympic hopefuls and amateur athletes across Canada. Considering too that VANOC will buy up every sign and billboard in our Olympic region in an effort to monopolize the space and keep non-Olympic sponsors like Pepsi, or you from advertising, the sides of moving or stationary trucks could be your only "BIG-sign" access to Olympic crowds. In the interim however, if you want to advertise and raise money at the same time for Olympic hopefuls so they can compete in 2008 or 2010, this is a good place to do it. Not only is it economical, especially in comparison to newspapers, it brands you in any region you pick. According to the C.A.S.H. 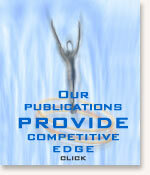 website, newspapers don't even come close to being competitive when you take into account cost and coverage. Plus, you also have to consider the "unique cachet" of seeing your message in living color on the side of a truck driving through your city. It's bigger than life and has much more impact than a one-time $2,000 black and white six-inch ad buried among ten of your competitors. For example, in one highly specialized offering, you can purchase 13.7 square feet of ad space on a mini van that delivers to local schools for as little as $150 per month based on an annual contract. To quote Len Sanders, "C.A.S.H. has the undying support of the Canada Games Council in Ottawa, and 1,400 Canadian Freightways trailers to fill with corporate Canada's ads." It's a potent mix to be sure. Even better still, C.A.S.H. is based in Langley, B.C. "Their goal is to raise $5 million annually to support Canadian Amateur Athletes," which, as Sanders emailed me, "is more than our government is able to contribute." I emailed Sanders to ask if it was feasible for a group of small and midsize business owners to "pool" their resources in respect to buying ads on the trucks and he responded to say that companies already do so. (Even VANOC recommends that suppliers pool resources when they bid for Olympic contracts.) The trucks range in size from vans to 53' trailers, and they travel local roads as well as highways across the entire country. You pick your size and the reach you want, and they match your needs with your budget. They also sell, or soon will sell, license plate covers, decals, magnets, and auto air fresheners, all with amateur sports motifs. Sanders negotiated rights to sell ad space on the sides of "School Service" and delivery vehicles. You might be thinking, "big deal," but think again, because this is a first in our region. In my last post I complained that VANOC is giving McDonalds (the breakfast of champions burger & fries joint) access to schoolchildren through a loosely interpreted (at least at this date) Olympic program. Hopefully local school boards will recognize how ridiculous it is to have Ronald McHamburglar pitch "fat food" to your kids under the auspices of good health and athleticism. If you too disagree with letting fast food restaurants pitch to kids in school, but were locked out of the school market, you now have another option. Access to advertising on school property via C.A.S.H. will not be as targeted as current Olympic plans, which will have corporations who represent "unhealthy" lifestyles place corporate McBranding all over your kids test papers and daily school work, but advertising on trucks is better than anything you have ever had access to in the past. It truly is an innovative and historic crossroad. Hopefully, C.A.S.H., unlike Olympic organizations, will respect the privilege to advertise on school property and not use the sides of their vehicles to pitch "unhealthy" products to young minds and growing athletic bodies. So far I'm not concerned about Sanders and his group. Here's one reason why. Schools in Surrey and Maple Ridge have already benefited from the program and have received 40% of the revenues generated from the advertising on the sides of delivery trucks to schools. Surrey for example feeds 7,000 kids as a result of the funds generated. Note to VANOC; You want to own the podium? Start with kids and teach them to respect their bodies instead of enticing them with burgers and fries. The Olympics should represent a healthy lifestyle, and not be a training ground for chubby little cherubs. Considering everything above, just imagine the leverage when you combine ads on the sides of trucks with a corresponding web presence. Extend your reach online by creating an online program that connects amateur athletes with your company. The ad on the side of a truck starts the ball rolling, and you, in partnership with amateur athletes create an online two-way conversation with Canadians excited about getting in the Games to help out too. It creates the elusive Win/Win/Win I mentioned earlier. Novel? Yes. Effective? Try it and see. ". . . we have been approached by a major auto manufacturer affiliated with IOC and VANOC. After hearing their story we have declined the association. The short of it is, why would we provide funding to other countries to compete against our own when our main focus is to assist Canada's athletes onto the Podium, and offer some relief to the "Bank of Mom and Dad" in the process?" Good question Len. Why would anyone in Canada want to sell out our community or country? In this era, Canadians have many options to protect and take back our Olympic community. All you have to do is look. Keep it in Canada. Keep it strong. Keep it free.